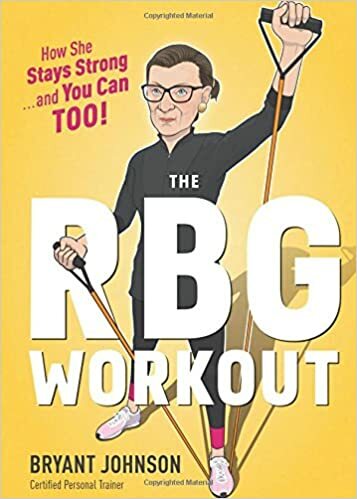 Houghton Mifflin Harcourt has released THE RBG WORKOUT: How She Stays Strong … And You Can Too!, a fully illustrated exercise book that details Justice Ruth Bader Ginsburg's famous workout, written by her long-time personal trainer, Bryant Johnson. Justice Ginsburg began training twice-weekly with Bryant Johnson in 1999 at the urging of her late husband, Martin, after she was treated for colon cancer … and she’s been at it ever since. During her recovery, she received regular bone density scans and, after several months of twice-weekly workouts with Johnson, her bone density began to increase. The result of this test became Johnson's report card for success. Justice Ginsburg has called Bryant Johnson "the most important person" in her life (after her family, of course). With RBG WORKOUT, Johnson presents the workout exactly as he does it with Justice Ginsburg, along with some variations to accommodate skill level, personal preferences, and the equipment available. From planks to squats to push ups, this simple but challenging workout – illustrated with 4color illustrations of the Justice in workout gear – is suited not only for older people who want to maintain a full life, but is challenging enough for anyone trying to get fit or looking for training options. With tips from the bench & sidebars with Bryant's folksy wisdom on getting fit & staying healthy, it’s a totally charming & wholly effective package. Says Bryant Johnson of his famous client: “Her determination has been inspiring, and she is a living example of what she stands for, including the fight for equal rights for women.” THE RBG WORKOUT — a supremely good exercise program! — is designed to be all the fitness regimen you need to keep up with one of America’s most admired women. Susan Cannon is the owner of Susan G. Cannon Estate Wines in the greater Los Angeles area. Susan's Experience involves her being Regional Sales Manager at Silver Oak Wine Cellars, Regional Sales Manager at Trefethen & Shramsberg Vineyards. She is also a graduate of Culinary Institute of America at Greystone, Napa, CA, UC Davis, UCLA, California Culinary Academy. Starting my wine career in 1983 with a small brokerage firm in the Los Angeles area, ultimately lead me to Trefethen and Schramsberg Wineries where for for 9 years acted as Southern California Sales Manager and Brand Manager for out of state distribution in several western states. In 1993 I joined Silver Oak Cellars and spent 13 years representing them winery direct in Southern California and as brand Manger in 8 states in the mid and southwest states and Eastern Canada. In addition to sales I assisted ownership in both marketing and public relations programs. SCOTT STEINBERG - CES 2018: GET THE SCOOP ON THE LATEST IN HIGH TECH! Want a glimpse of the most exciting tech products launching in 2018? As the new year is ushered in, the excitement grows for the most cutting-edge developments in cell phone technology, home appliances, vehicle trends and more! The International Consumer Electronics Show (CES) is back! CES is the world’s gathering place for all who thrive on the business of consumer technologies. Held in Las Vegas every year, it has served as the proving ground for innovators and breakthrough technologies for more than 40 years—the global stage where next-generation innovations are introduced to the marketplace. It’s not only the world's largest annual tradeshow for consumer technology, but it is also America's largest annual tradeshow of any kind. The first CES took place in New York City in June of 1967 with 200 exhibitors and 17,500 attendees. Since then, CES has grown more than seven-fold. 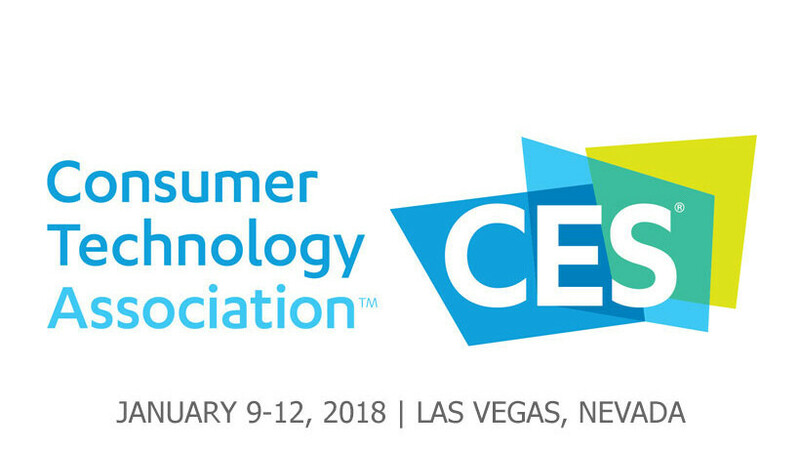 CES now showcases more than 3,600 exhibiting companies, including manufacturers, developers and suppliers of consumer technology hardware, content, and technology delivery systems with more than 150,000 attendees from 150 countries.